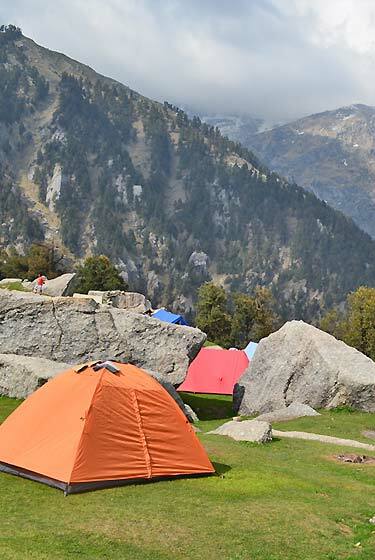 The Sari Pass trek is one of the few trails which connect the Kullu and Kangra valleys. The trek to the Sari Pass at an altitude of 3760 meters. 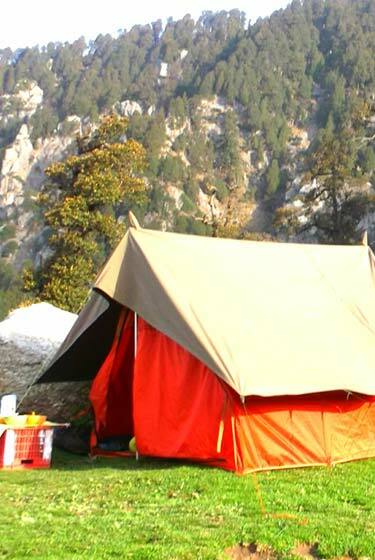 The Sari Pass trek is one of the few trails which connect the Kullu and Kangra valleys. 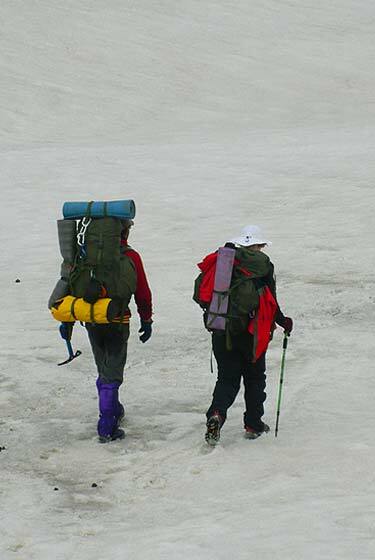 The trek to the Sari Pass at an altitude of 3760 m gives the traveler the intoxicating thrill of a Himalayan trek. 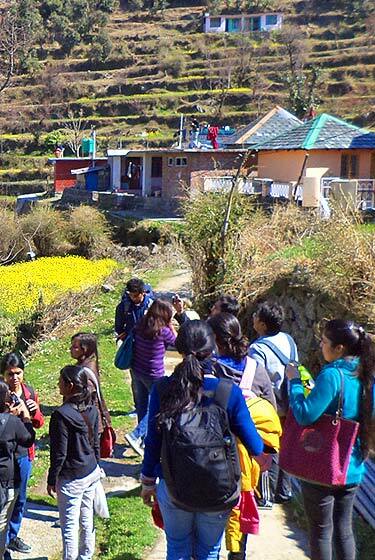 The trek begins at Bir in the Kangra district and is about 50 km from Dharamshala. The trail moves to Billing, a barren ridge known for the adventure sport activities. The climb is a gentle rambling through the rhododendron vegetation and spectacular views of the valley on either side of the Ruling River. The trail then descends and again climbs up to the lovely village of Lohardi. 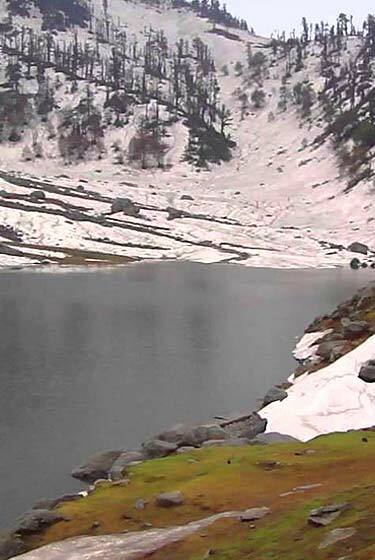 For people who lack time or strength for a Himalayan trek the trek can start at Lohardi as buses ply till here. The path from here is well defined with a moderate ascent to Lahesh Caves. The shepherds and the villages frequently move on this path. From here it is a strenuous hike along a ridge to cross the Pass even though the altitude is not very high. From atop Sari Pass, you can see portions of the Dhauladhar towards the west, passes to Lahul and Spiti towards the East, parts of Kalihani pass and Pir Panjal ranges towards the North. The descent on the other side is to Teun village, the last village on the Kullu side with a very orthodox culture. The descent continues through the picturesque valley through Naghol to the road head at Solang village. The trek passes through green valleys, apple orchards, distinctive villages and is of a simple-moderate level of difficulty. This provides a unique combination of elements and a rich experience to carry home. Day first drive from Mcleodganj to Bir by Jeep (65km) and start the trek same day to Billing (2900m). It is about 10 km steep short cut trek from Bir to Billing. Night stay at Billing in tents. After 9 km walk through the mixed forest. the trail descends down to the bank of river Uhl. After crossing the village camp on the bank of river. By pass Barot a small village with a small Trout Fish farm and a water reservoir from where water is drawn through big pipes to Jogindernagar to generate Hydel power. Night stay at Loharadi village in tents. A climb towards the base of Sari pass is tiring. You will go by the small stream upwards to reach the base of the sari pass. Night stay in tents. 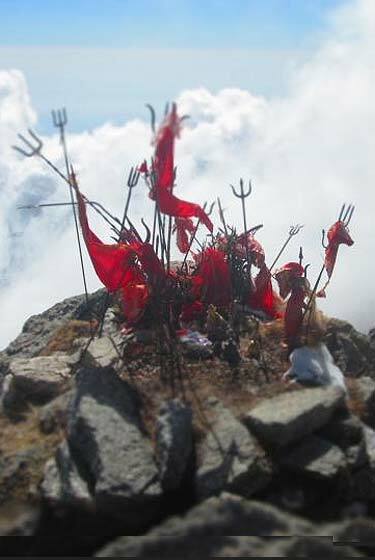 It is a steep ascent from the base to pass and takes about three to four hours up to the pass and another three hours to go down to the camping site. After crossing small villages of Kullu valley after 12 km level walk will take to Shalag the road head side. After Shalag drive to Kullu or Manali By jeep.